Wedding photobooth hire from funbooths.co.uk in Birmingham. Hire one of our gorgeous wedding photo booths for your wedding reception. 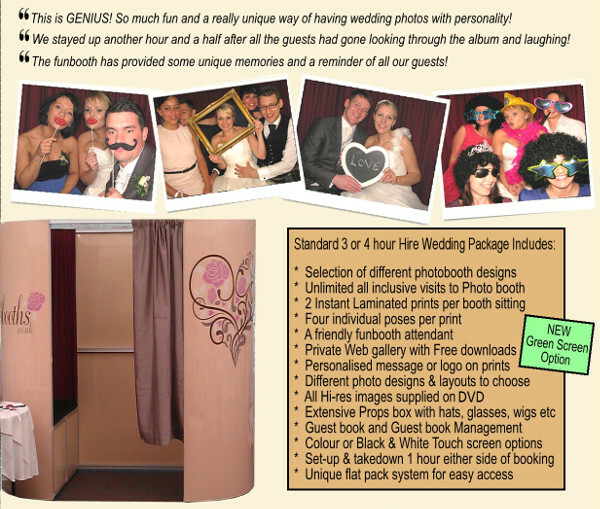 Funbooths supplies portable photo booths to many wedding venues in Birmingham and surround areas. Photobooths are the latest addition for your wedding and create fantastic memories along with entertaining your guests while they use the funbooth and share their experience.